Winter seems to be winding down here on the Front Range. Continue to experience a lot of WIND which after days of strong schnooks I tend to get headaches. If the temps are going to warm I like to be outside without the need of ankle weights to keep me in the county. Every chance we get we are out walking with the littles, often finding ourselves stopping for a sprinkle donut. It's worth the sugar rush to watch B. enjoy her donut...love those toddlers! B. was also introduced to play dough! We made our own and pulled out cookie cutters on a warmish day made cold by the high winds. She loved this, playing for a full hour rolling, cutting and plain smacking the dough.Simple and 'on hand' things make the best toys for little ones! I have been busy sewing---a lot! 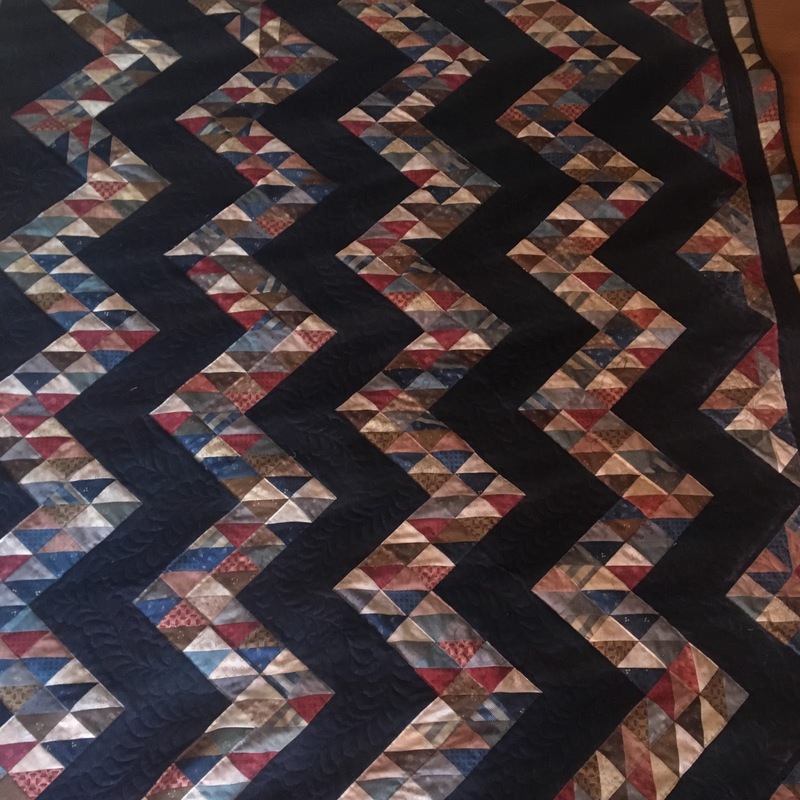 I finished the blue quilt pictured above, machine quilted FEATHERS, I finally mastered a presentable feather. I tell you it was a moment of pure accomplishment for me! After completing this quilt I was an unstoppable women in my sewing room to get two more tops done, and I did by Sunday evening. Now to get them sandwich, (hopefully today) and machine quilted! 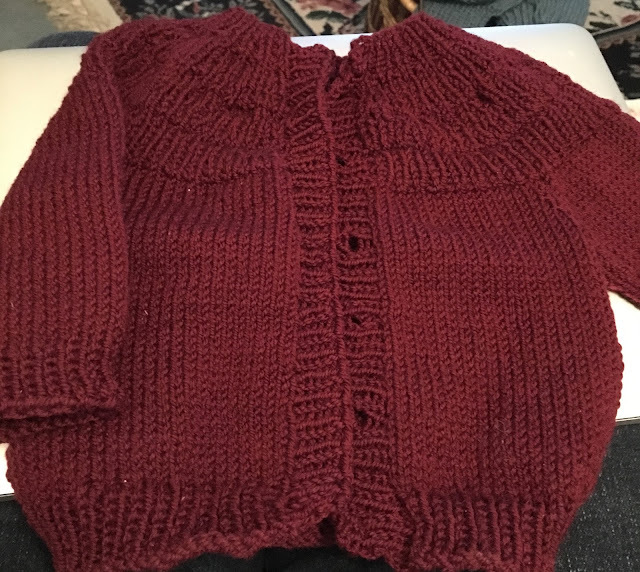 The baby sweater pictured ( without buttons as of yet ), is a gift for a friend who's baby shower is this weekend....in Minneapolis! My three adult children and I will all gather in the Twin Cities for a long weekend of much needed time together! Oh, I can already imagine the long walks, food and movies that will occupy our time and of course a baby shower. Talks on "Brain Science" has been on my computer these past weeks, so-so interesting! I am of the generation that was told the brain does not need "exercise" and now to find out the brain needs LOTS of exercise. All the science and research being done on mood disorders, happiness, mindfulness, alzheimer, etc., why we know so little about our brains. I find this so fascinating and so hopeful for so many people who are suffering with illnesses of the brain. But most of all, the break through regarding medicine and that so many of our ills can be corrected by 'exercising' our brains. The research showing that brain exercising has far, I mean far better results and long lasting results than most drugs used on the market today. I'm not saying throw away your prescriptions, but their may different options, keep an open mind! Happy Monday! Gratitude is an Attitude. :: lots and lots of sewing on scrap quilts. 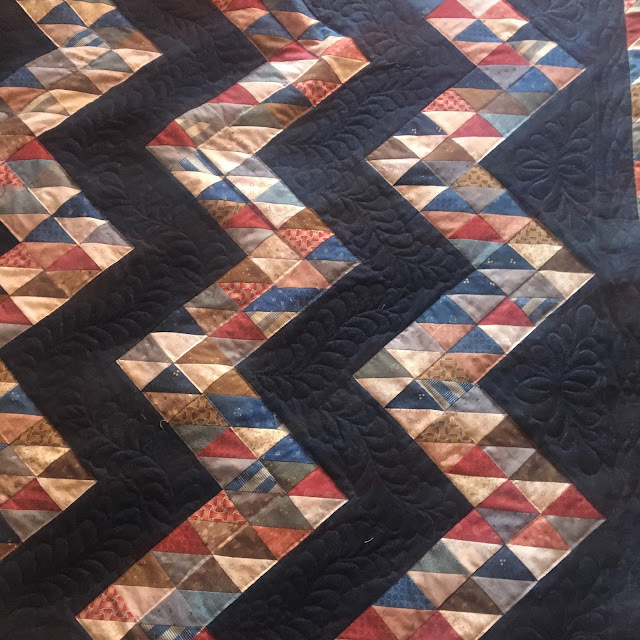 Using up 'some' left over scrap material from previously sewn quilts. Why, when using scraps does it seem as if those scraps just reproduce? 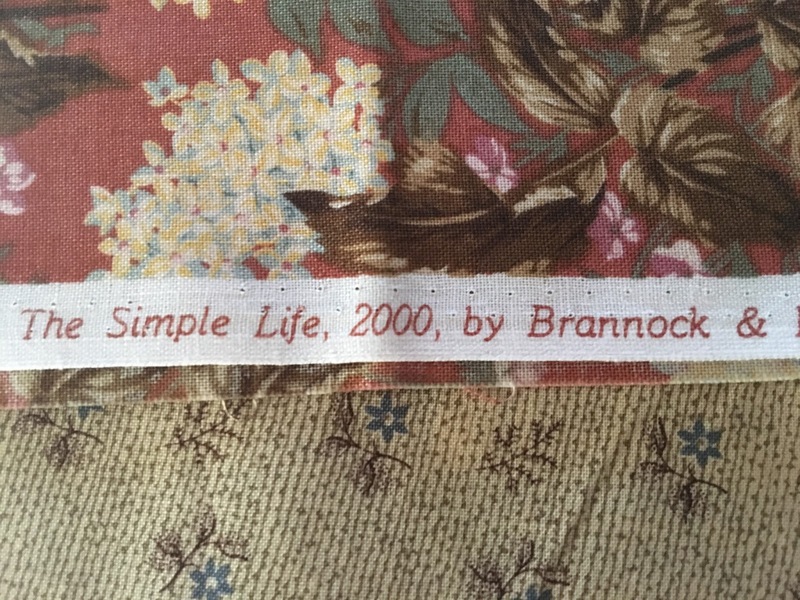 Did you notice the material that is dated the year 2000. Eighteen years old! I know I have fabric that dates way prior to 2000. Makes me smile to still be using these fabrics. :: took a quick trip to ahh....McDonalds, (we were desperate to get out). Though the play fort was watched by the little one, we dodged that adventure...too many GERMS! :: new art supplies to explore. Need to make an apron for all the creativity that is in our future. Spring is just around the corner, though as usual I think it may be a bumpy corner. March has come in like a lamb, so I bet we are in for some BIG SPRING SNOW storms. The moisture will be welcomed and we can certainly keep our chins up waiting for the much anticipated garden days ahead of us. I have been eying the ground daily for the 400 tulip and daffodil bulbs Betty and I planted last fall.